Online clothing and footwear retailer Zappos is embarking on a year-long 'Friends with Benefits' roadshow aimed at rewarding its loyal customers and attracting new ones. Kicking off this month, the Zappos tour will make its first stop in Austin, Texas from 27-29 January, followed by Atlanta, Nashville and more. The remaining locations will be announced in the coming months as Zappos sets out to meet as many friends as possible, up close and personal, throughout 2017. 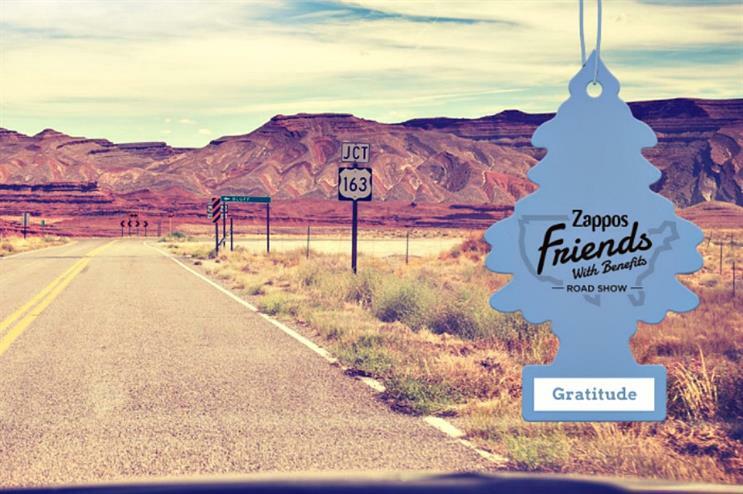 Bringing a whole new meaning to the phrase 'Friends with Benefits,' the tour is all about Zappos saying thanks, showcasing unparalleled customer service, giving back to the community and rewarding customers and friends. Manifesting the Zappos spirit into a unique mobile experience, attendees will be able to shop for distinctive products and enjoy custom rewards, as well as a weekend full of what the brand terms 'high fiving, happy-houring and puppy kissing'. Each event will feature local food, live music, puppy fashion shows, and more. Kristin Richmer, senior brand marketing manager at Zappos.com, said: "At Zappos.com, our customers mean the world to us, so we're hitting the road with our 'Friends with Benefits' tour to celebrate and thank them in person. We want to shake their hands, give them really big high fives and meet their friends —delivering happiness and memorable experiences along the way." Coca Cola South Pacific is taking a retro truck on tour around Australia to inspire people to create their own 'perfect serve'.